Gold and Zinc – Where Are The Opportunities? The Junior Miner Junky David Erfle, shares his thoughts on the gold market and the bounce that is currently underway. With a monthly close coming this week there are some key levels to watch if you want to get bullish. We also look at the zinc market. Under pressure most of this year the zinc price has rebounded. David also shares his thoughts on Fireweed Zinc and how he is trading into the stock. Click here to visit David’s site to learn more about his newsletter. Canopy came down a bit, it was lookin kinda parabolic, might be a dip. kitco list has so much red a person might think the were drinkin wine last night. Also Cameco has an August 31st deadline for sellers to fill their 500,000 lb uranium spot price bit. Also a plug to John Quakes on twitter, if you are not already following him. He gives multiple updates daily about any kind of uranium related news/interview. I’m not sure what username he would be, but I think he also vists The Korelin Economics report. He has linked to interviews on here before. John Quakes is a sharp dude and he posts over at ceo.ca sometimes, where I often repost KER links. He is a great person to follow and is VERY well informed on the Uranium space. Good to know. Thanks for the reference Ex! I didn’t realize he was on ceo.ca. Thanks Excelsior, I’ll see you around the boards. Lemetropole Cafe – Another option expiration, another bunch of silver calls expiring worthless. 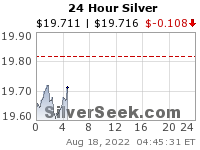 Overnight Sep. silver tried to take out $15 but was quickly dispatched just a nickel shy at $14.95. That was probably the easiest money short to be had. It’s always been about today at 12:00 noon EST. I truly believe the dollar could drop 2 full points and Sep. silver would still settle below $15. Next up: it’s all about first notice day, and the long Labor Day weekend. After that however a significant relief rally seems imminent. If so it’s damn well time. We’re 2 ½ months into the recent smackdown, and 7 years into the BIG smackdown. It now takes 1,762 oz. of silver to buy 1 unit of Dow. Back in the early 1980’s that ratio fell to as low as 18- 1, and even as recently as 2011 it was as low as 221-1. It also takes 21.5 oz. of gold to buy the same Dow unit. Back in the early 1980’s that ratio hit 1-1, and in 2011 stood at 5.6-1. Such gross distortions rarely exist for very long. 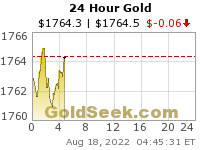 The severity of the gold and silver suppression over the past 7 years cannot be emphasized enough. By all rights a monster rally would be the only logical outcome from such egregious manipulation. Logic, however, hasn’t been in great supply lately. The power of cartel ways has been severely underestimated by me, and many others. The one thing nearly everybody can agree on is we are at price levels ranging from merely undervalued, to a once in a century opportunity. Just think of it, a conspiracy by lumber mills to manipulate price of their commodity HIGHER. Those stupid lumber mills apparently don’t know any better, and unlike their mining brethren prefer as MUCH profit as possible! Memo to JPM and the MSM: better get a handle on this situation before it becomes like gold and is worthy of full-blown MOPE.